Grey and fuschia is one of my favorite color combinations, so when I spotted this grey clutch purse with fuschia flower I had to share it with you! 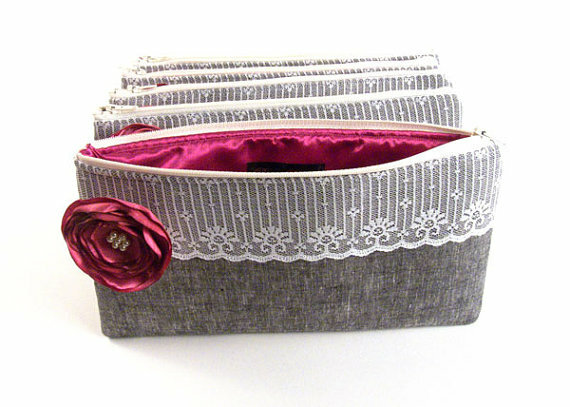 This grey clutch is made with a grey cotton blend fabric, features a white lace trim, and is accented with a flower brooch (detachable) for added charm. By Penny Royalty Clutches. To see more photos or buy yours, visit their shop. 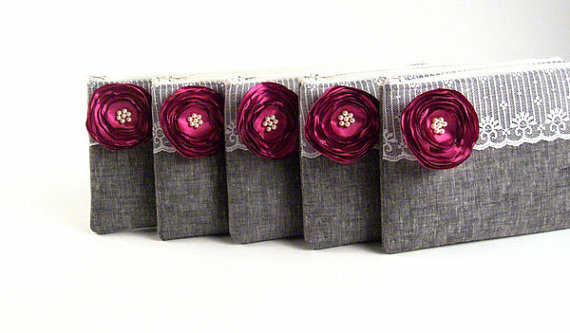 Makes a great gift for bridesmaids! Happy Monday! 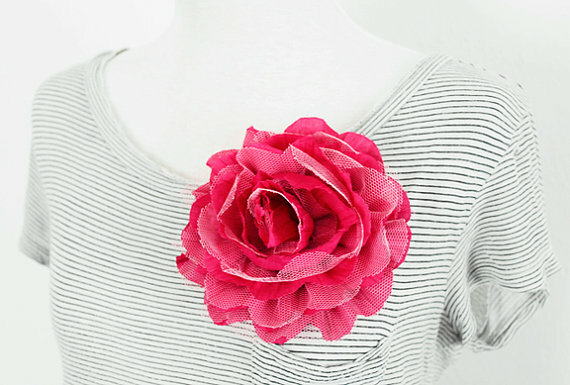 Today in The Daily Find we’re featuring this hot pink fabric flower brooch by The Blooming Thread. 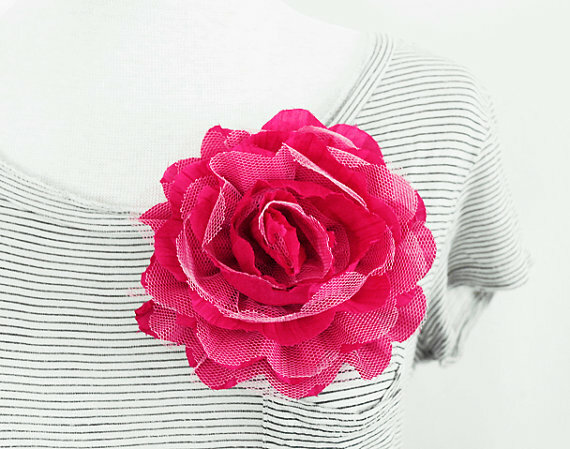 This pretty flower pin is the perfect accessory piece for bridesmaids and can be pinned wherever they please. 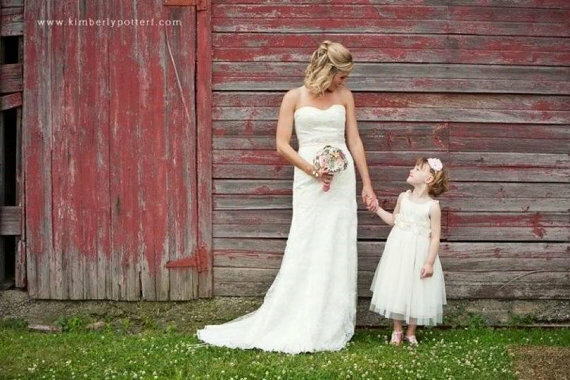 It makes a great accessory for wedding events, too, to show guests they are part of the bridal party. Pin these pretty flowers onto clutch purses or sashes for the wedding and beyond! To view this + more items, visit The Blooming Thread.